Building a Web application with Imixs-Workflow – Part II. In the first part of my tutorial I explained how you create a workflow model using the Imixs Workflow Modeler. This part now concerns about the setup of your application server on which you can run the workflow application later. 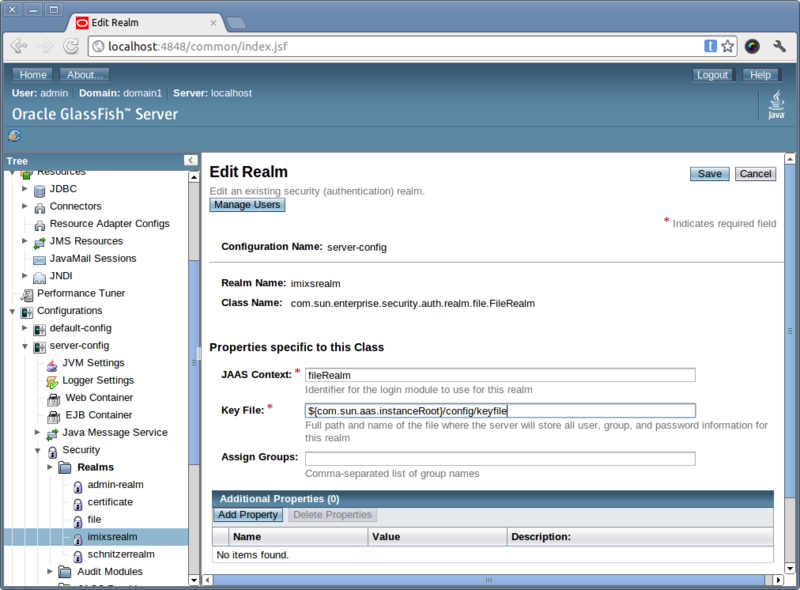 I will describe the setup of the Application Server Glassfish which is common running a JEE application. But you can also use a different JEE application servers (e.g. JBoss, WildFly). From the point of view of a workflow management system (WfMS) the application server is responsible for two important things: the authentication of a user and for storing workitems (a running process instance) into a database. 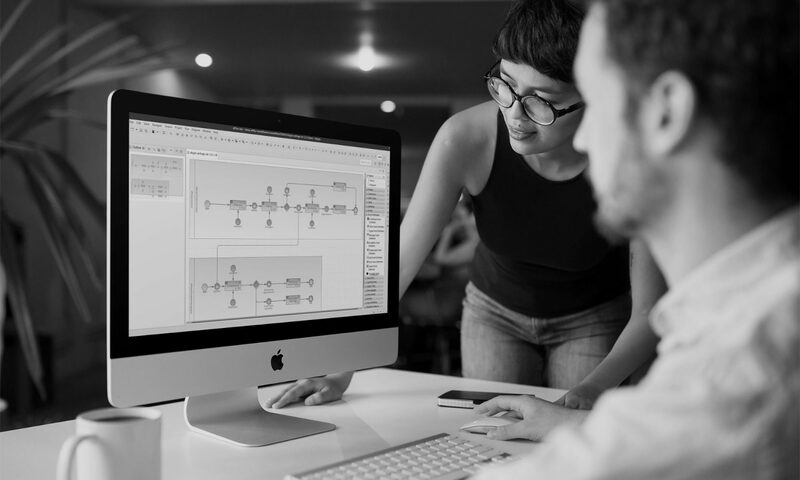 As the Imixs Workflow is based on the Java EE specification this can be configured outside of our application using the application servers admin console. Next I will describe the two configuration steps. press OK to create the new realm. The name “imixsrealm” will be used by my workflow application to select the security configuration. One part of the security realm is to authenticate a user who tries to access my application. The other part is to authorize a user and grant access to the workflow application. Therefor each user account needs to be owner of one of the Imixs security Roles defined by the Imixs JEE Workflow System. The security roles are mapped by a application to different access groups. So you need now to define different users assigned to different groups used by your application. Please make sure that at least one userID is assigned to the role ‘IMIXS-WORKFLOW-Manager’. The next step is to setup a Database connection which can be used by your workflow application to store the workitems created and modified by users into a database. Again – as the Imixs Workflow depends on the Java EE specification the application is independent form a specific database vendor. I mostly like the MySQL Database, but you can use any other database system. 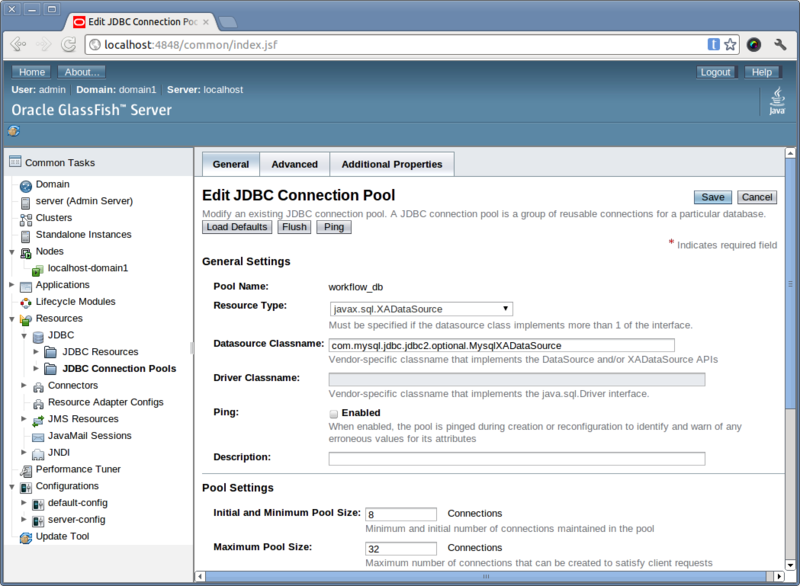 The Java EE database connection is based on the JDBC standard and each connection defined by a server will be named unique by the JNDI Name. 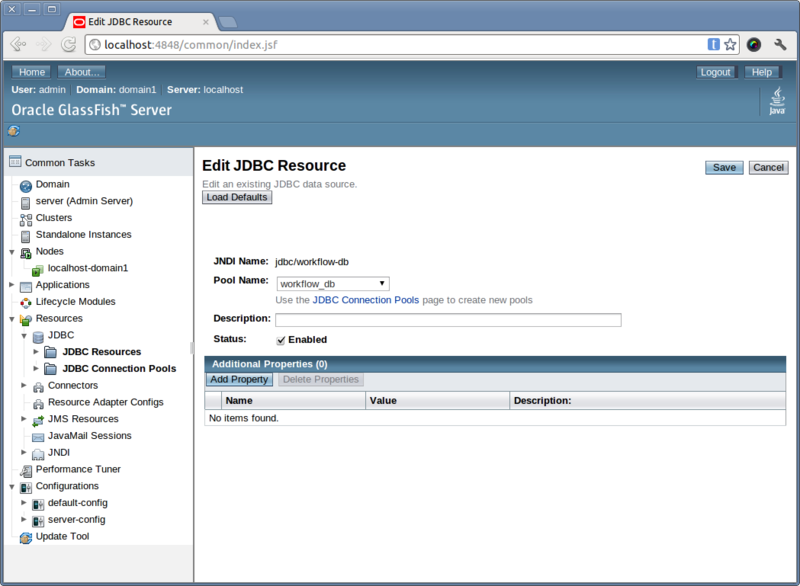 In this tutorial the application will expect a JDBC ressource with the name “jdbc/workflow-db”. 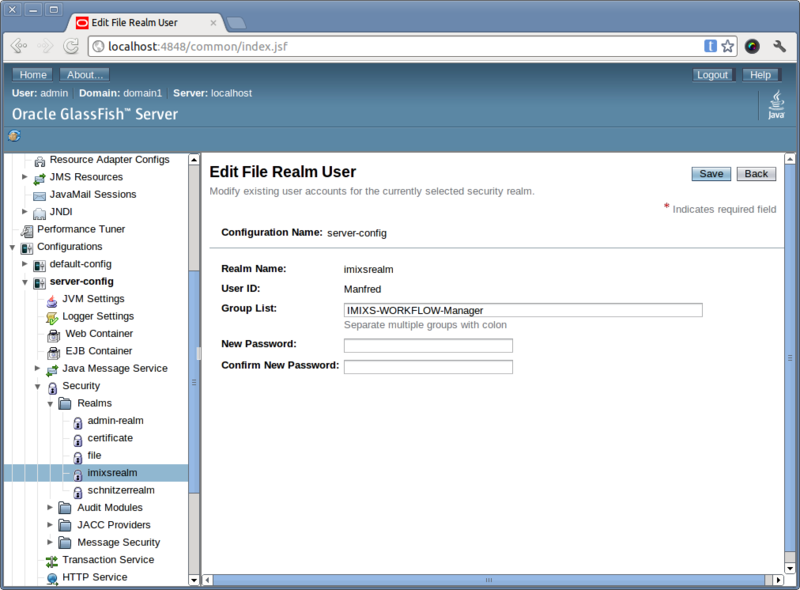 Before your setup a new Database connection in GlassFish you need to create an empty database on your database server (MySQL). You don’t need to create any tables or database schema, because this is done in the background during the deployment. you can verify your connection using the ‘ping’ button in your connection pool configuration page. Now that we have setup our application server I am ready to build and deploy my workflow application. Previous PostPrevious Building a Web application with Imixs-Workflow – Part I. Next PostNext Building a Web application with Imixs-Workflow – Part III.